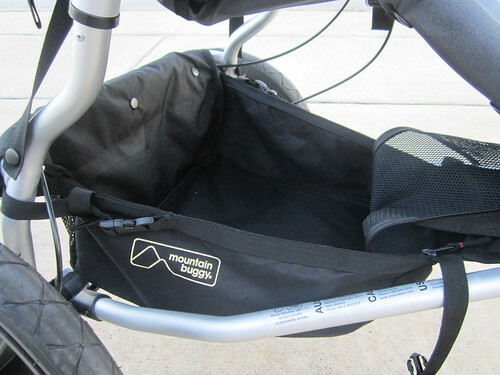 Serious joggers (and even not so serious joggers) need a high quality jogging stroller to get the most out of exercising with baby along for the ride. 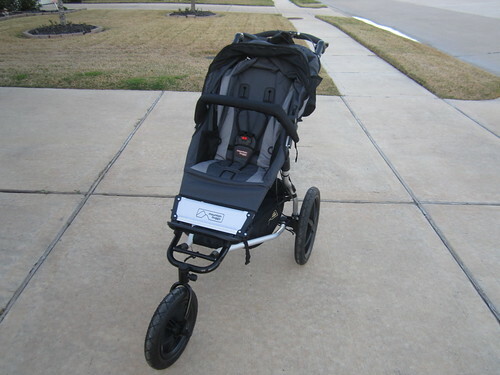 From strolling with your newborn to jogging with your toddler the Mountain Buggy Terrain will handle anything from sidewalk to jogging trails to playgrounds with ease. 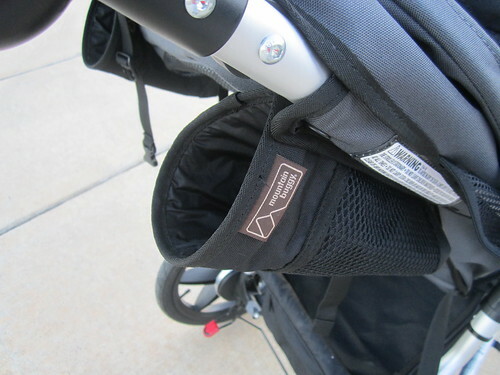 The Terrain can accommodate many infant seats with an adaptor, a carrycot, or a child in the seat weighing up to 77 lbs. 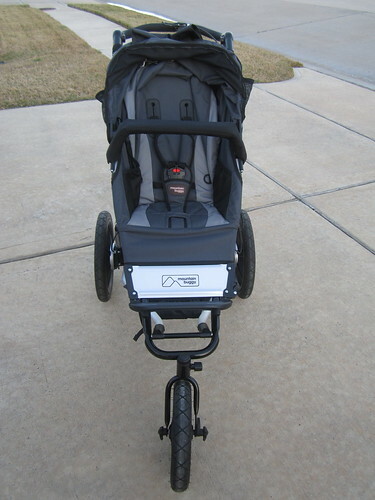 The Terrain features an adjustable 5-point harness, a detachable, padded bumper bar, and a generously sized canopy with a peek-a-boo flap. 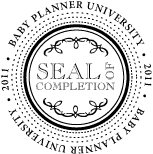 The fabric set is easy to remove for cleaning. 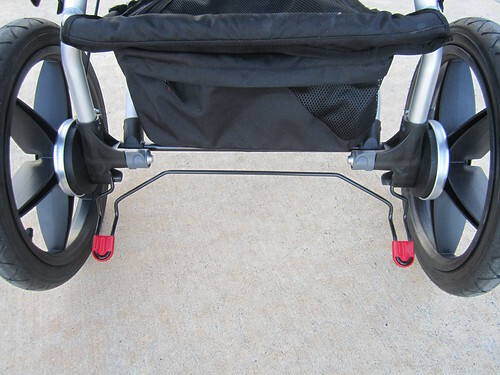 The front wheel can swivel or lock for jogging. When locked, the wheel still can move approximately 5 degrees in either direction allowing for easier steering when jogging. The brake is very easy to operate even in light shoes or flip flops. The basket is large enough to hold a day’s worth of baby supplies and can hold approximately 11 lbs. Dual bottle holder bags will keep your drink of choice close at hand without it getting in the way. 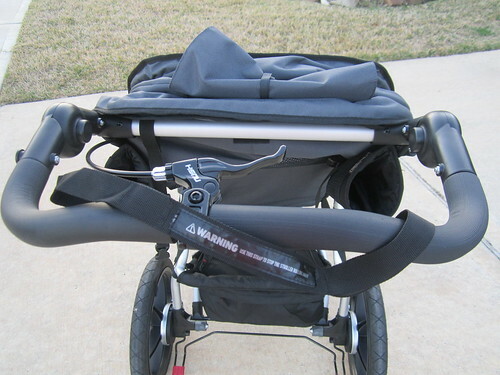 The safety wrist strap and hand brake help keep the stroller under control at all times and the handle adjusts up and down for perfect positioning and comfort. The Mountain Buggy Terrain retails for $499.99. To learn more and purchase visit www.mountainbuggy.com.